What do we mean by the word “Return on Investment” with respect to your business? When you buy property, stocks, gold, (bitcoin?) your intention is to see an appreciation from this investment. What about your business? Is this also an asset that you can earn appreciation on? As the chief investor in your business do you want to receive a higher return on investment from your business than just the salary and dividends you pay yourself each year? This is a question that sounds like the right answer is yes. If your answer is yes, then you will want to become aware of how you get any additional return on investment over your salary and dividends. It’s a choice that has to come years before the opportunity for that higher return becomes possible. 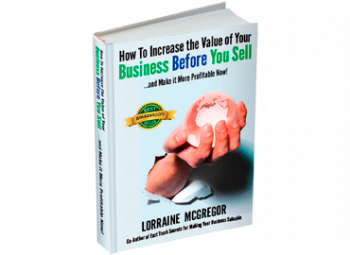 Selling your business is how you increase your return on investment. Think about all the unpaid hours, the resources and sweat equity you’ve invested plus hard earned cash from other sources to make your business function and grow. 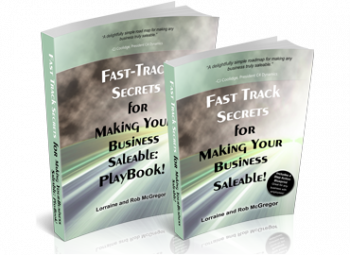 If you added all that up, would it be more or less than the value of your business today? To be able to sell a part or all of a business, it has to be transformed from a Lifestyle company which is successful for you and your employees into a Transferable and Saleable asset. Before explaining what these two terms mean, let’s reflect on the difference between these two types of businesses. Today, according to the Association for Corporate Growth (ACG) there is $10 Trillion in wealth searching for saleable, transferrable businesses to acquire. The demand to acquire Lifestyle businesses is a barely a fraction of this amount. Sadly, we have a huge supply of LIfestyle businesses and scanty demand. We have a limited supply of companies that have been made Transferable and Saleable and massive unmet demand. Which position do you want your company to be in? Transferable means that the knowledge of how the company operates is embedded in the people and systems that will remain with the business after the owner leaves. Transferable means that the business does not need you, the owner, in a vital functional role. Transferable means that the current team that operates all aspects of the company is also responsible for last year’s numbers and growth plan. Saleable means that it is attractive to your ideal buyer. The value it represents fulfills the investment mandate of that buyer. This means that your business has invested in discovering and resolving Red Flag problems that lower the value AND has sufficient Green Lights to illuminate a clear path to growth for the next owner. What is a Red Flag? Any aspect of the business that disrupts productivity, performance, profitability, effective and efficient operations or the company’s consistent ability to attract and serve it’s target customer. These Red Flags are often hidden in the company’s systems, culture, organization design, communication and ways of working. Red Flags stand out to us because we know where to look and what signals to pay attention, and most importantly, how to fix these Red Flags. And what about value-driving Green Lights? 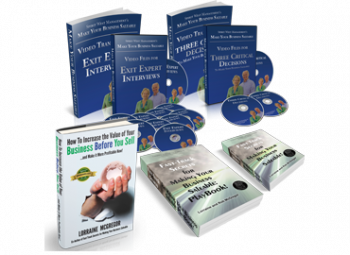 Those are the X-Factors you already have in place that prove your business is competitive, successful and effective at earning a return on investment. The more Red Flags you can turn into Green Lights, the higher the perceived and real value of your firm to an external buyer. There is precious little useful advice about what it means to exit a business. Do Entrepreneurs Get Rich or Just Look Rich? Know What’s In Your Financial Future.